Do you ever feel like you do too much? That you are stretched too many directions? That you don’t know where to start? Or that perhaps… you’ve taken on too big of a load. Yes, me too. I would argue that almost every woman I know can answer YES to every question I’ve asked so far. It’s just the way of the world these days. But does it have to be? My dear friend, Jessica Turner, doesn’t believe it has to be so. She believes that with the right tools and frame of mind, we can take back our lives and gain focus on what’s important once again. 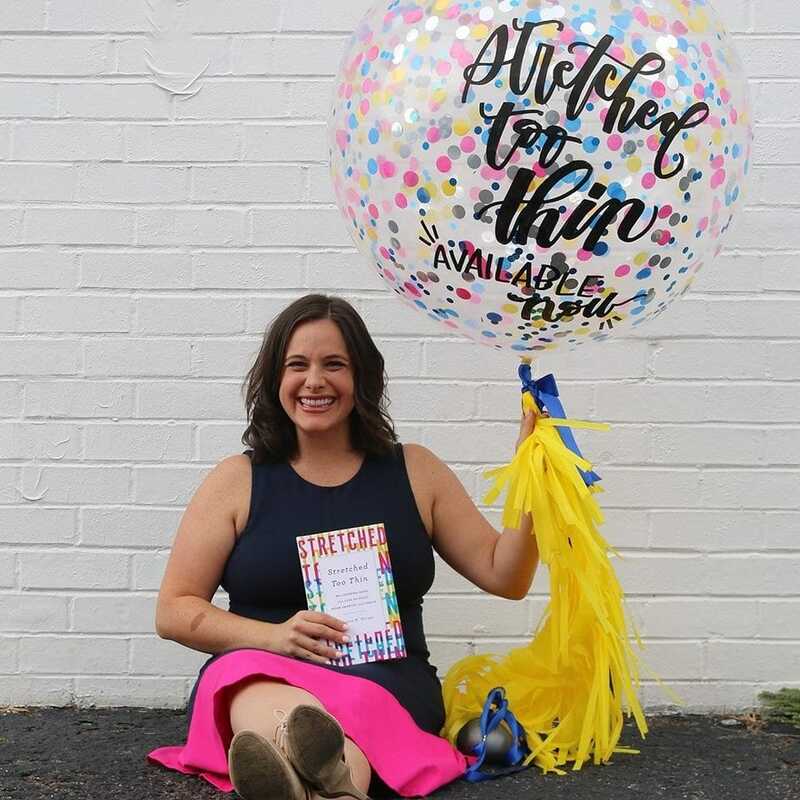 Stretched Too Thin: How Working Moms Can Lose the Guilt, Work Smarter, and Thrive focuses on every pain point a mom feels throughout a typical day – whether she is struggling while holding a part time, full time, stay at home, or a more traditional office position. Over 2,000 women were surveyed and one fact was clear – we all could use a bit of encouragement these days. Stretched Too Thin does just that. But it sure does feel that way at times. I cannot tell you how many times I’ve heard this told to me by colleagues who feel the strains I do. We – as women – have to keep reminding ourselves that what we do isn’t THAT SERIOUS OMG EVERYONE CALM DOWN. But we work like the world is imploding on us because that’s how everyone treats it. It’s a hard industry to survive. This is a very raw truth. I collapse into my bed at night as if I’m a rancher, not a writer. Exhaustion sets in while the mind runs wild. And then I do it all over again the very next day. Stretched too thin? You better believe it. 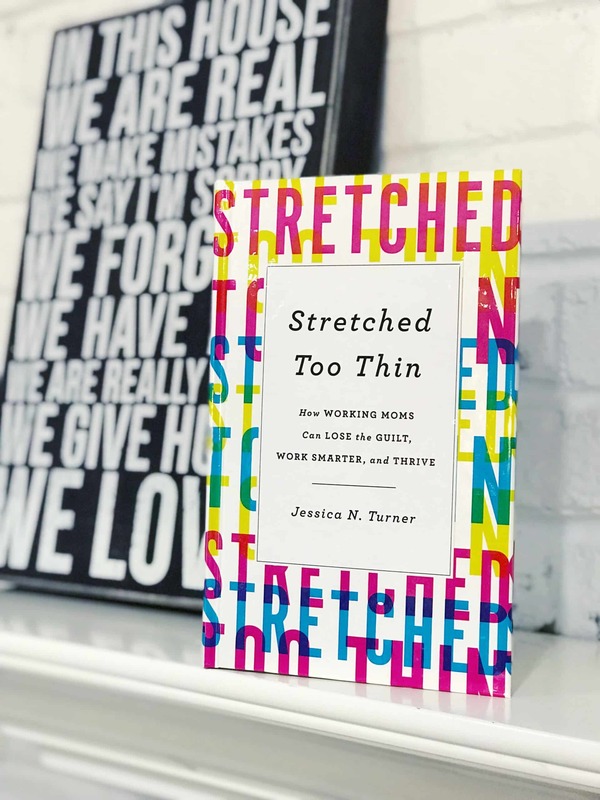 Do You Need To Read Stretched Too Thin? Yes. I don’t even know you and the answer is yes. Well, if you read my blog then I have a feeling that we can relate in some way. I know you because you feel connected to me. You relate to me. You are a woman who likes to cook and who loves to travel. You might or might not have children but you definitely enjoy keeping up with what’s going on with my family from time to time. You love fashion or at least you love to window shop and always are on the hunt for a great deal. You are a multi-tasker. You tend to surf the web while you are waiting in line because we can’t just sit still anymore, can you? But sometimes, it’s just too much, right? All of this. The job. The kids. The house. The friends. The Pinterest… OH THE PINTEREST WHY DOES MY CAKE NOT LOOK LIKE THAT? The carpool schedule. Their vacations. Their new bags. All the Instagram outfits. BLAH! Hashtag blessed. Sometimes I feel like I am in a vat of soup and people are pouring more and more ingredients into the soup – which at first is fantastic – but then it just starts to feel so overwhelming. Too much of everything. I just don’t need it all. It’s all good. But all of it at once tastes terrible. Stretched Too Thin will help you figure out how to start to make time for yourself again, offer you sound advice to help you manage your homes, and give you parenting tips that are easy to implement. Great takeaways! PLUS the book is so easy to read. Ok, friends!! I have a Stretched Too Thin book to give away and I am so excited about it! Must be a US resident. This contest will run for ONE week. Good luck. Use the form below. Congrats to my dear friend, Jessica Turner. I’ve known this woman for a very, very long time. We’ve had a lot of laughs throughout the years and while I think my NY dry humor is sometimes a bit too much for her sweet southern charm, I know she truly loves me for who I am. I can’t wait to support this book throughout its launch and any other book that she writes until the end of time. To see other contests that are live right now, click here. My aunt would enjoy this book. Thanks for sharing. I’d like it for myself. I’ll be reading this myself. Thank you for the giveaway!